The Government is Open, Now What Happens with E-Verify and CBSV? The U.S. Government is Open! On October 17th, 2013, the U.S. Government reopened. Now that the shutdown is over, human resource professionals need to know how the new startup process will work when ordering employment verification searches. These searches are performed by the U.S. Citizenship and Immigration Services (USCIS) and Social Security Administration (SSA). 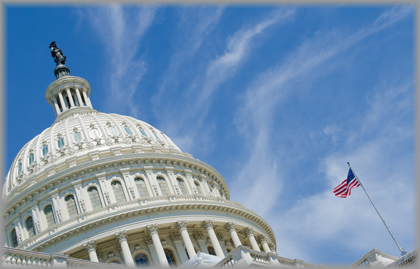 The Form I-9 requirements were not affected during the federal government shutdown. All employers must complete a Form I-9 for every person hired to work for pay in the United States during the shutdown. If an employee had a TNC referred between September 17, 2013, and September 30, 2013, and was not able to resolve the TNC due to the federal government shutdown, add 12 federal business days to the date printed on the ‘Referral Letter’ or ‘Referral Date Confirmation.’ Employees have to this new date to contact the Social Security Administration (SSA) or the Department of Homeland Security (DHS) to resolve their cases. If you have an employee who decided to contest his or her TNC while E-Verify was unavailable, you should now initiate the referral process in E-Verify. Employers may not take any adverse action against an employee because of a TNC. During the federal government shutdown, federal contractors could not enroll or use E-Verify as required by the federal contractor rule. Your organization might have missed a deadline because E-Verify was unavailable or it has an upcoming deadline for complying with the federal contractor rule. Please follow the instructions above and notify your contracting officer of these instructions. The integrated process for the Consent Based Social Security Verification system provided by the Social Security Administration is currently unavailable. The SSA has provided an estimated restart date of October 21, 2013. How will the shut down affect my order process with Justifacts? Justifacts is currently processing E-Verify orders to the USCIS. All orders that were sent to Justifacts between September 30th and October 17th will be processed and completed by the end of the business day. CBSV employment verification searches are delayed. These searches will be processed as soon as the SSA Web Services team has the system up and running. Justifacts will be checking the system periodically in case of an unannounced restart.